Looking for T-Shirts, Jeans, Shorts, Jackets, Leather Jacket, Shoes, Caps, Boots?? You can get all the items of HIP-HOP Urban collection here! 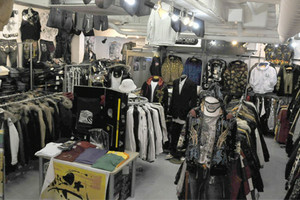 Variety of Brand :NEWERA, TIMBERLAND, KARL KANI, ROCAWEAR, PELLE PELLE, FYDELITY and much more! !